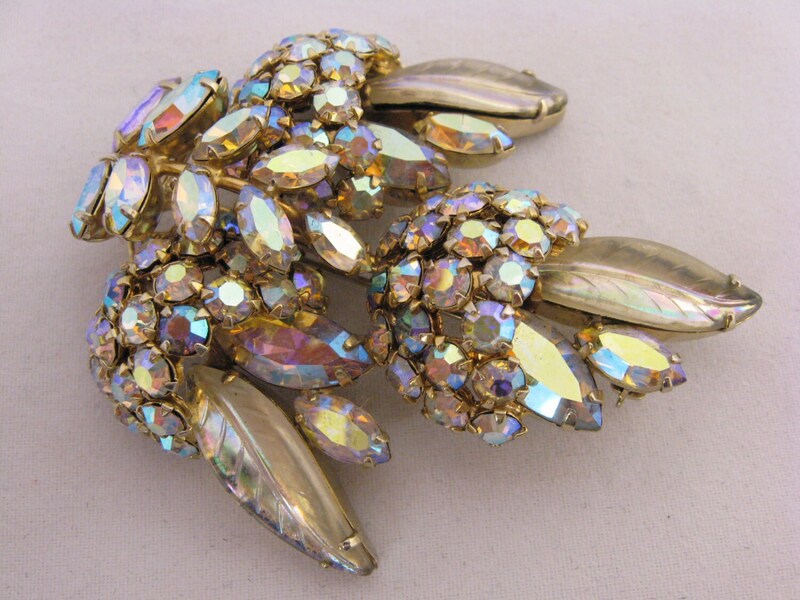 Gorgeous Sherman brooch and earring set of Aurora Borealis Swarovski crystals circa 1950s to 1960s. 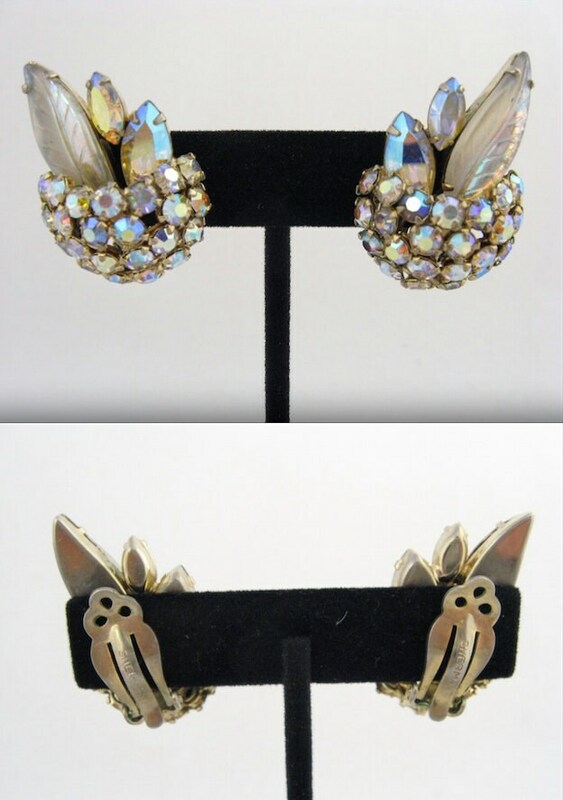 Gustave Sherman was known for Canadian-made, high quality costume jewelry. He began creating in 1947 after the end of WWII. 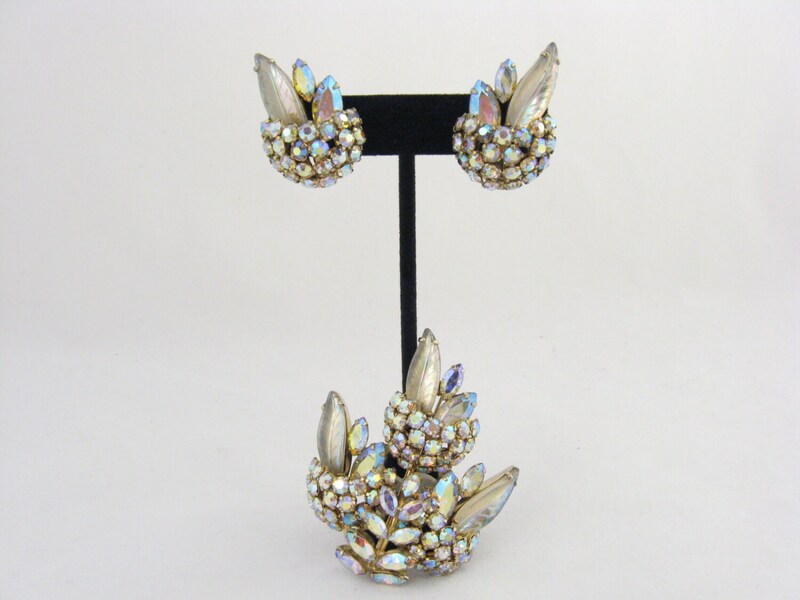 Sherman is known for using only the best stones, which called for Swarovski. He also insisted upon a thick rhodium plating on each of his pieces. Sherman's brilliant shine is difficult to photograph. You will be absolutely stunned by the sparkle of this jewelry in person. This set is in excellent vintage condition. Beautiful aurora borealis stones with detailed leaf design make this set quite rare. 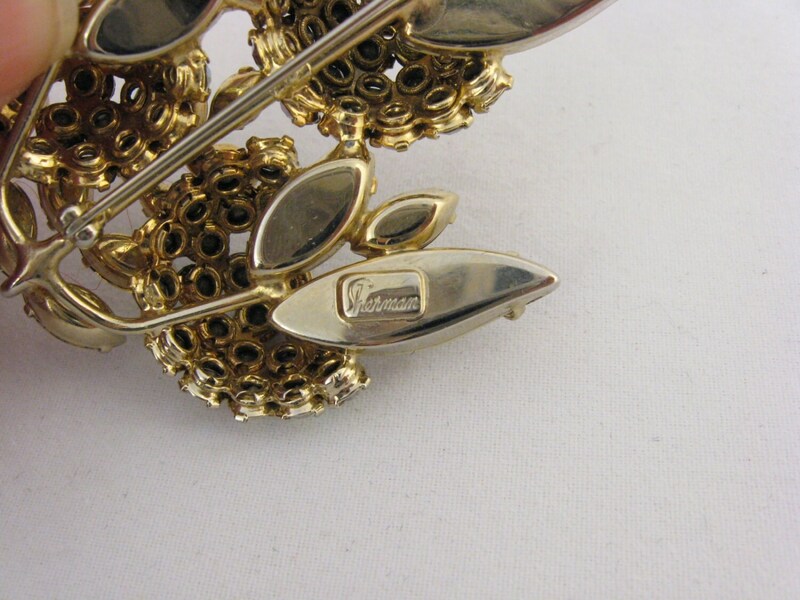 The Sherman signature is located on one of the leaves on the back of brooch. The matching earrings have clip on backs that have also been signed by Sherman. 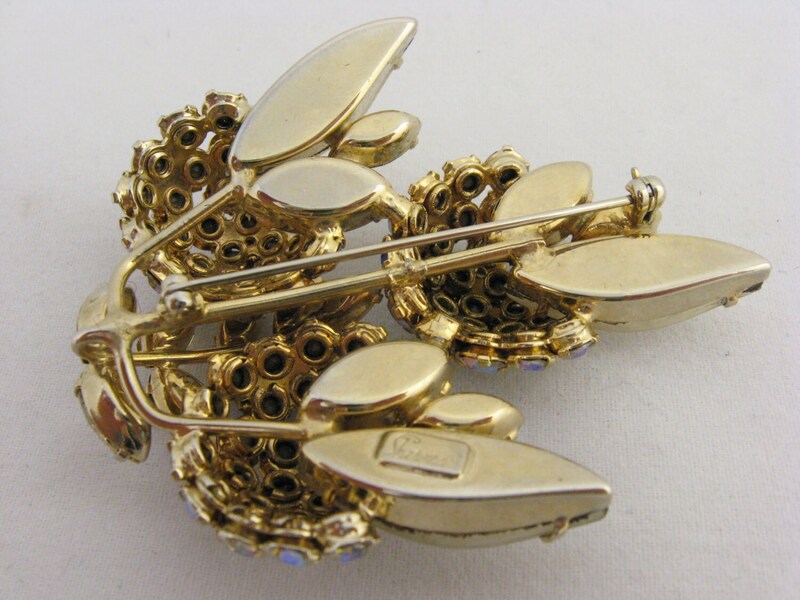 The brooch measures 2 1/2" in length and 2 1/8" in width. The earrings measure 1 3/8" in length and 7/8" in width. I do ship worldwide. Please contact me for rates. Shipping will include tracking number and insurance.